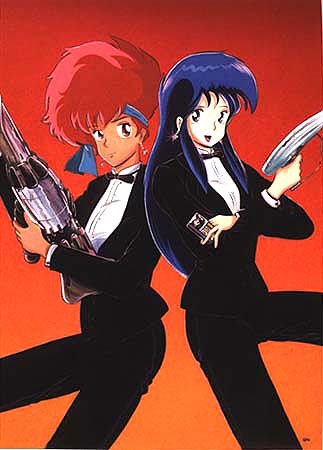 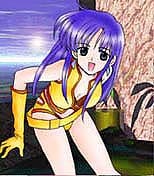 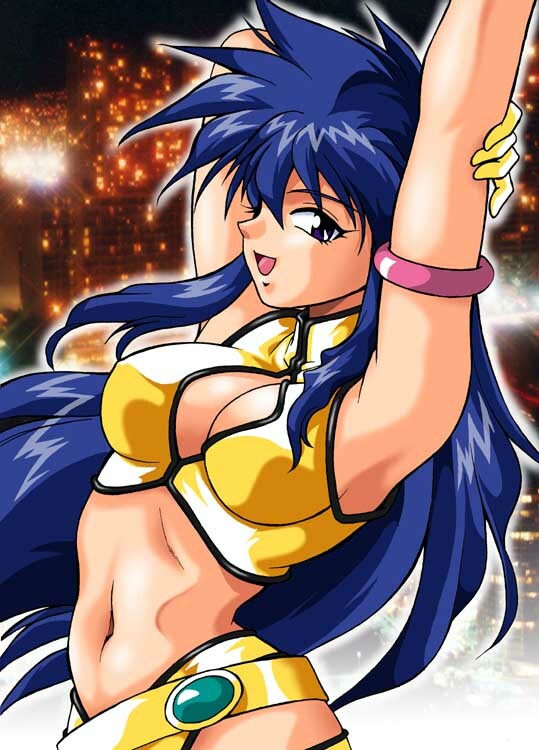 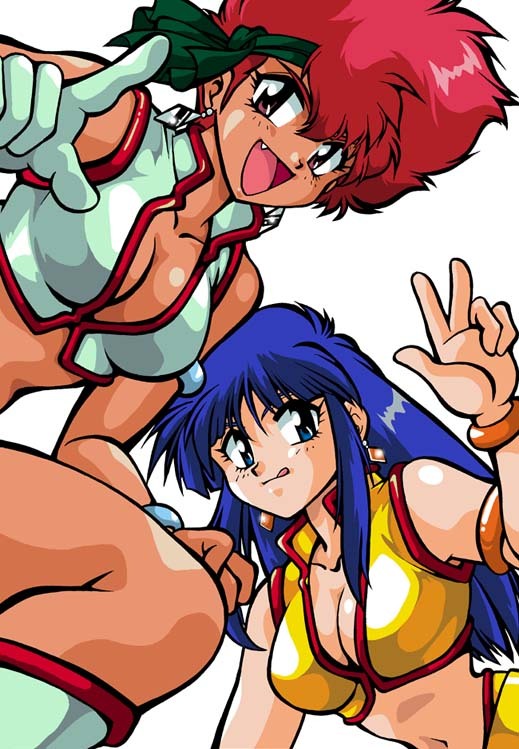 cover art for a series of five doujinshi, Imasara Dirty Pair <Dirty Pair Right Now>; these three date from December 1997, August 1999, and August 1998 ; the artist is Manabe Johji (Studio Katsudon), who gave us Outlanders, Caravan Kidd, Drakkun, etc. 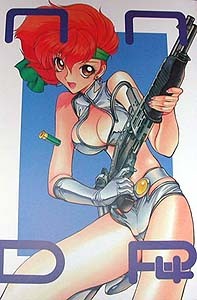 The back cover of Animenominous! 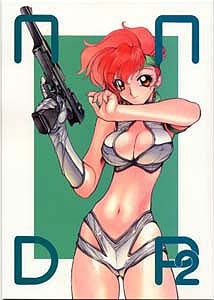 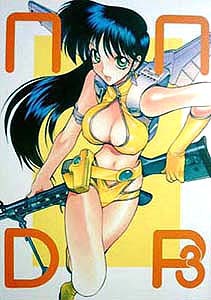 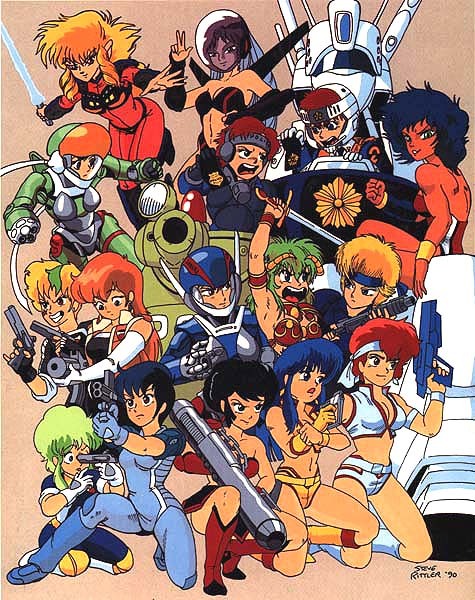 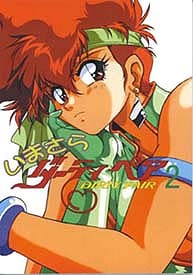 #1 (1990), featuring art work by Steve Rittler; this is interesting for depicting a number of characters who were inspired by the Lovely Angels, including one created by Manabe Johji (see above), who admits to being a huge DP fan (it is no accident that the names of some of his heroines begin with the letter 'K').